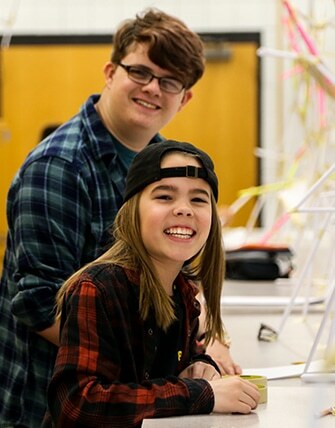 Hosted in the professionally equipped art studios of the Norick Art Center, our new week-long art and design based programs are created with young artists in mind. Through interactive art workshops and projects, our faculty of professional teaching artists will help guide students to expand their creative thinking, develop new skills, and gain a deep understanding of different artistic mediums. ArtLAB offers a wide range of fine art instruction for young people interested in the visual arts, through themed classes that are designed to foster creative thinking and develop skills in an environment of creativity and support. By providing stimulating and engaging arts experiences, we aim to help develop a love of the visual arts, while providing a creative outlet that will help build self-confidence and social skills. The core of the curriculum centers around an interdisciplinary approach that combines studio work, critique, and discussion, building a solid foundation of artistry, conceptualization and technical skills, along with opportunities for self-exploration, socialization, and personal growth. All ArtLAB programs are developed on a foundation of creative freedom to ensure maximum creative learning. Our curriculum is based on a 40-40-20 structure, including 40% foundational and technical skills, 40% creative exploration & directed play, and 20% social opportunities. 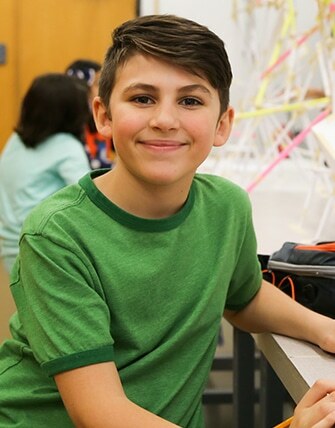 Students spend the first half of each day focussing on subject areas of each class and spend each afternoon participating in exciting elective subjects that allow students to explore new and unique skills. All ArtLAB classes are taught by working artists and designers who have industry experience in their field as well as a passion for creative education. Our teachers are carefully selected for their enthusiasm for producing quality, creative experience for our students. We promise to provide useful resources, practical guidance, stimulating projects, engaging workshops, and challenging outcomes - in a fun, safe, and nurturing educational environment. Carefully managed class sizes ensure that students will receive the one-on-one guidance from our experienced staff they deserve. Students will benefit from opportunities to work both individually to develop independent working environment as well as in groups, allowing for development of social skills. We can't wait to kick off ArtLAB this summer, with our week-long classes in drawing, painting, video game design, filmmaking, sculpture, mixed media and installation, and more, beginning June 54 and finishing July 20. Each week we will have a great selection of classes available for youth with classes through the summer for youth aged 5 - 16. Summer ArtLAB classes run Monday to Friday from 9:00 am until 4:00 pm each day, with optional Extended Care available from 8:00 am - 9:00 am and 4:00 pm - 6:00 pm. All ArtLAB classes conclude with a final gallery viewing on Friday afternoon, where friends and family can view all of the student's work. All ArtLAB art and design classes take place in the professionally equipped studios in the Norick Art Center. Students will love the opportunity to develop their skills in a space that is both inspiring and safe. Located on the campus of Oklahoma City University, one block north of Oklahoma Children's Theatre's main building, the Norick Art Center is a 29,000 square-foot facility that serves as the heart of the visual arts on campus and in the local community. The center contains painting and drawing areas, a ceramics and 3D design area, a dedicated printmaking room, and a twenty-two station Apple computer lab as well as the Nona Jean Hulsey Gallery where eight to twelve exhibits are staged each year.